The other day, I read a novel called Prester John, by John Buchan, published in 1910. This story about a Zulu uprising in South Africa as experienced by a young Scottish immigrant is an entertaining read in the spirit of Rudyard Kipling or H. Rider Haggard: adventure in the furthest outposts of the British Empire. But what makes this book most worth reading today is how many things the author takes for granted that we now know aren’t so, and even find distasteful. The racism of the book is shocking precisely because it is so casual and thoughtless, the innate assumption of white superiority. It makes me wonder what people a hundred years from now will think of our popular fiction, our popular movies. What do we take for granted that they will find odd, and perhaps even distasteful? You can already see some obvious candidates in things that are still accepted, but barely, like smoking. 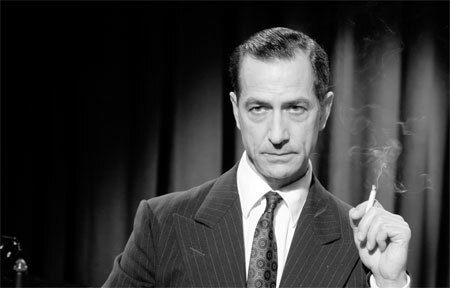 How curious it is to see a movie in which everyone is puffing on a cigarette – for example, in Good Night and Good Luck, where Edward R. Murrow is shown delivering prime time television news with a cigarette between his fingers. What will people think of our enormous steak dinners and obese portions of food? That’s on the cusp of changing. What will they think of our profligate use of fossil fuels and other non-renewable resources? Our assumption that the American way of life will go on forever, just as it is, much as the British thought their empire would go on forever? What about our assumptions about unlimited technological progress? Will science fiction visions of star flight or “the Singularity” seem as quaint as “the White Man’s Burden“? Above all, what will they think of the appalling amount of waste in our culture? Have you ever walked through a tourist area – say Fisherman’s Wharf in San Francisco – and seen entire stores devoted to schlock, made in developing countries by people who must scratch their heads in wonder at a people so wealthy that they can afford to spend money on things that are so utterly and obviously useless? Not a pretty picture. But sometimes a look in the mirror is a good way to wake up and change your life. We’re in the middle of a global economic downturn. Many of us imagine that our goal is to get things back to the way they were. I believe it’s an opportunity to imagine a better future, to build an economy that is more robust and more fair than the Ponzi economy of the last fifty years.